You may remember this camellia bud from my last post. I was worried about it as temperatures were due to fall and frost was forecast. I found some fleece and rushed out to make it a little cover. Thank goodness, I was just in time. I was in the garden this afternoon, pruning my autumn fruiting raspberries and tidying up hellebore leaves. The sun came out and it was lovely. 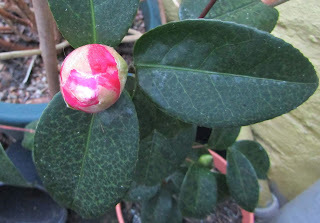 I saw the pink of the camellia bud through the its fleecy coat, took it off and here's what was underneath! No sign of being frosted and a pretty double flower. (No good for early insects, but with a fleece jacket, they wouldn't have been able to get to it anyway). 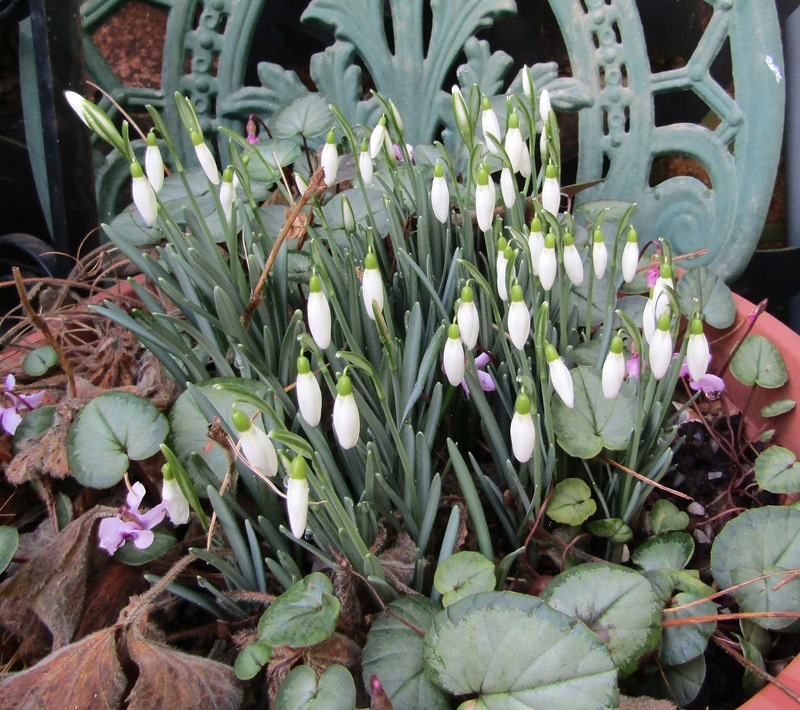 The combination of snowdrops and cyclamen coum in a pot always lifts the spirits. 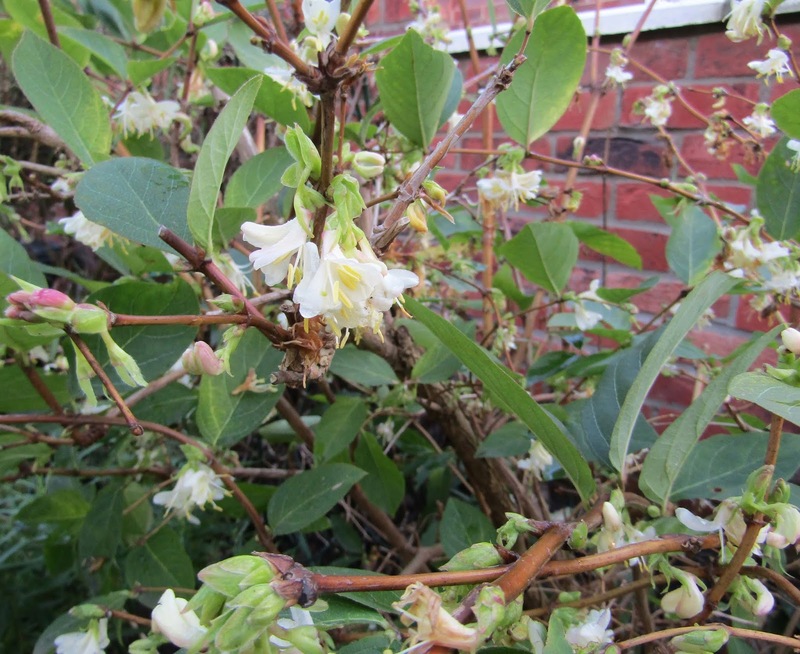 The winter flowering honeysuckle keeps on flowering (since December 2018), so is doing incredibly well. It does need sun on the flowers to really get the scent, but even without the sun, if you get your nose close enough, you do get a waft of that lily of the valley gorgeousness. 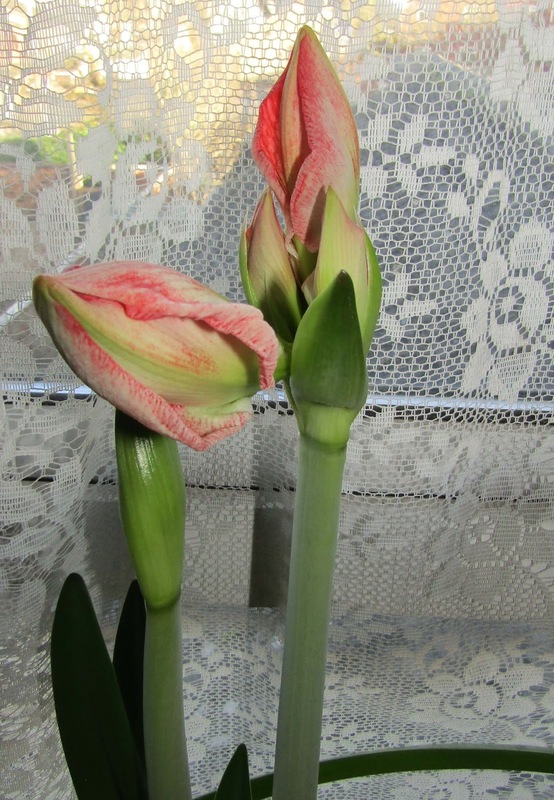 Loving your blooms and looking forward to seeing the hippeastrum in full display. Gorgeous things. Thanks, EC. Hippeastrums are so stately and elegant (but ever-so-slightly 'in your face', I think. I love them for that though and am really looking forward to seeing this one). Thanks, Rosie. 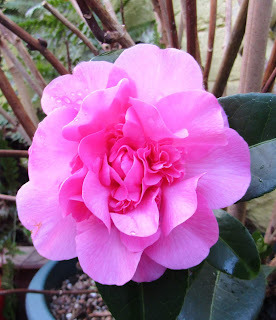 I was just in time for the camellia, I think. I love the snowdrop and cyclamen combination though I think I will need to divide the snowdrops once they have finished flowering. Gosh, from my point of view your plants are really early. 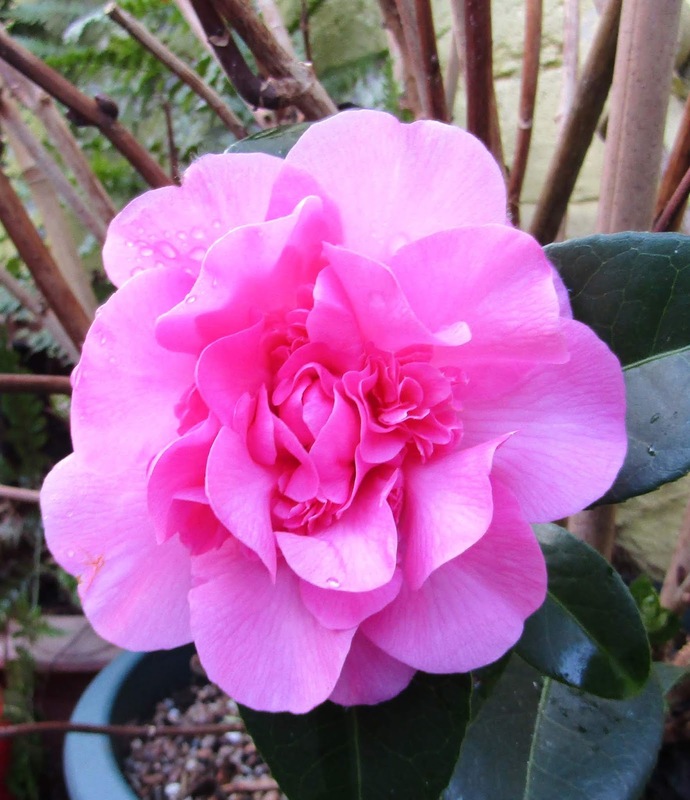 That camelia is a beautiful bloom and I saw in your last post you've camassia coming through. Mine are nowhere to be seen. Thanks, Jayne and welcome. I think the beautiful weather in February has speeded things up in the garden. 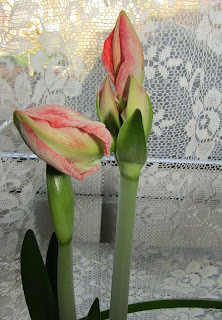 The cammasias are in a tub, not in the border - I wonder if that has made the difference?